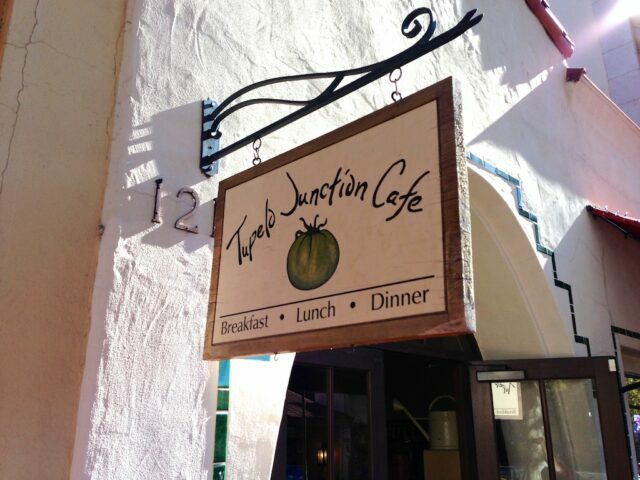 During our coast road trip, Amie was really excited about trying a little cafe on State St in Santa Barbara called Tupelo Junction that she had heard about. 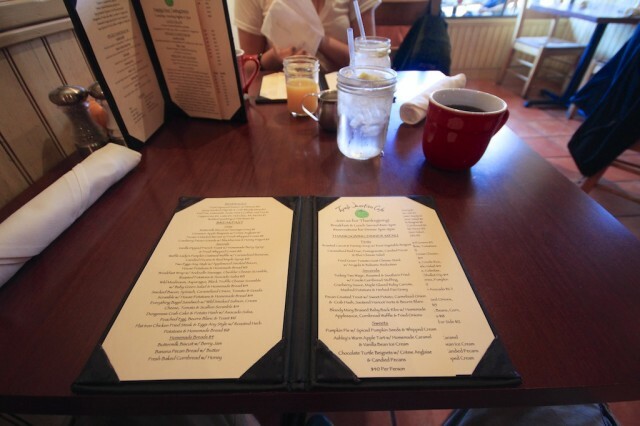 It was supposed to have great food with a small country atmosphere and that is right up her alley, so we set out to have breakfast there one morning. 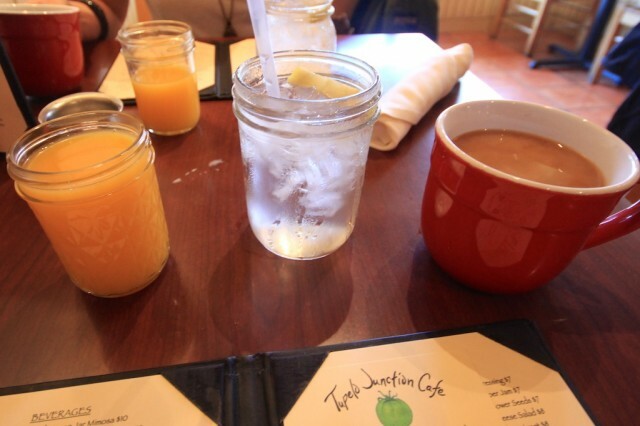 When we arrived we realized this place is exactly how it had been described, a french inspired country cafe, complete with mason jar drink cups and watering cans as decor. The wait was not long when we got there on a Sunday morning, only about 5 minutes but when we left there were a lot of people waiting for a table. The food is on the higher price end, which isn’t that crazy for this area, but be prepared to spend 10-15 dollars per entree, plus any drinks (Bloody Mary’s seemed to be what everyone was ordering but I stuck to coffee). We had heard so much about the Apple Beniges that we knew we had to try them. 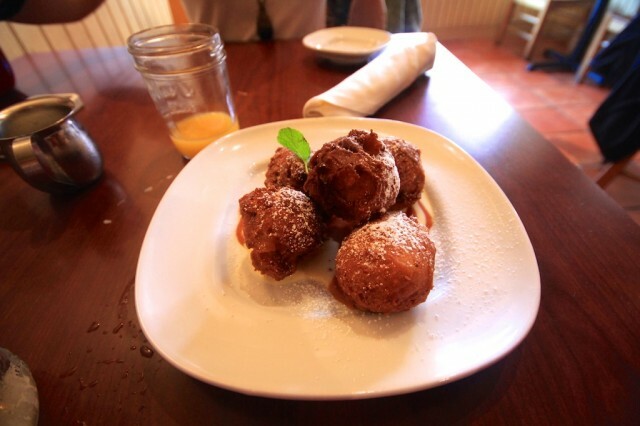 I would describe them as a less greasy apple fritter and they were a great choice that I highly recommend. 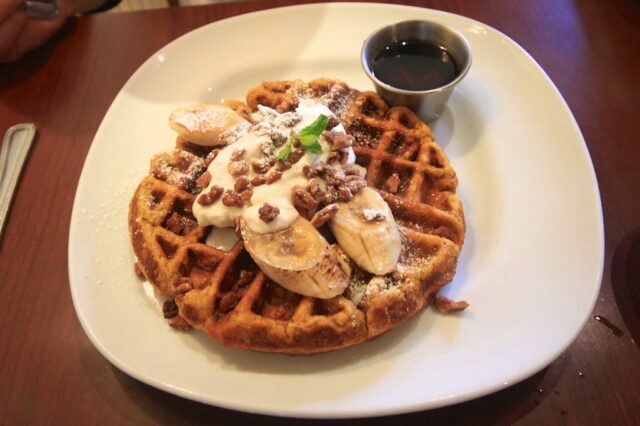 For our main entrees Amie got the Waffle Lady’s Pumpkin Oatmeal Waffle w/ Caramelized Bananas, Candied Pecans & Real Maple Syrup. She loves everything pumpkin and was a huge fan of her choice. I just did what I normally do and asked them what they suggested I order, the answer was a resounding Crab Cakes. 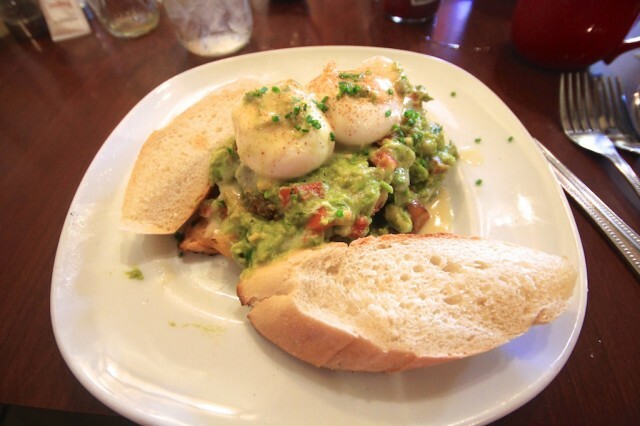 So I ordered them and it consisted of Dungeness Crab Cake & Potato Hash w/ Avocado Salsa, Poached Egg, Beurre Blanc & Toast. It really was an amazing meal that I couldn’t recommend more. The waitress informed me that they even make the toast fresh in the restaraunt. The only thing I didn’t like was when we sat down they asked if they could pour fresh orange juice. We both assumed that was with the meal as it was a really small cup, but when we got the bill it was 3 dollars each. I didn’t like that they made it seem like it came with the meal even though it didn’t. Other then that I was a really big fan of this cafe. I would have no problem recommending it to others that are looking for a high class meal and are ok with spending $10-$15 for an entree. 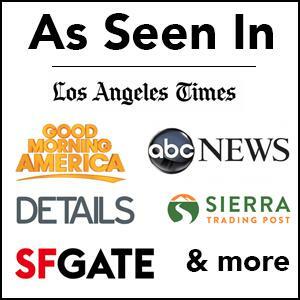 Get directions below and let me know what you thought of this cafe in the comments or if you have another place to recommend in Santa Barbara.